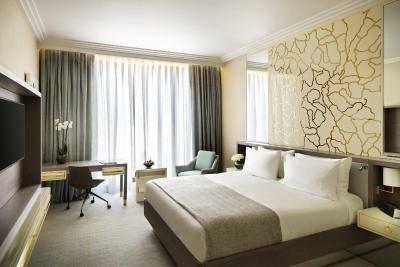 Lock in a great price for Boulevard Hotel Baku Autograph Collection – rated 8.5 by recent guests! They’ve made our wedding day unforgettable!!! Good location, courteous staff, clean rooms and amazing view to the sea :) Wonderful manager ever! Thank you a lot and all the bests! Didn't get a reply on several requests for an early check-in. Everything in the hotel was more than perfect! The cleanless, breakfast, the staf were welcoming, everything was amazing we really enjoyed the stay. 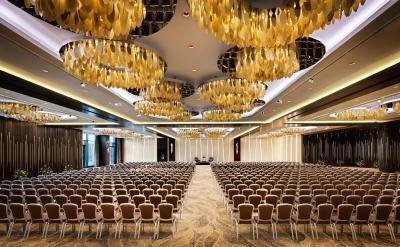 i would say its one of the best hotels in Baku. - Lobby is large. - The view Opposite to the corniche. - The staff was helpful and friendly. 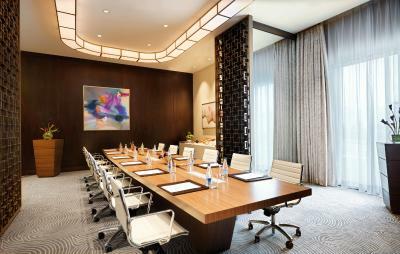 Boulevard Hotel Baku Autograph Collection This rating is a reflection of how the property compares to the industry standard when it comes to price, facilities and services available. It's based on a self-evaluation by the property. Use this rating to help choose your stay! 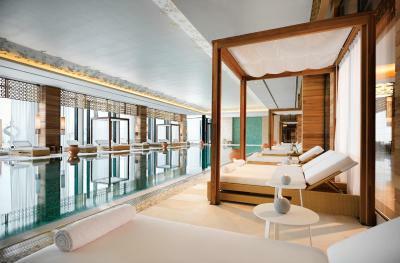 One of our top picks in Baku.Featuring a spa and wellness center, Boulevard Hotel Baku Autograph Collection is located a 5-minute walk from the Caspian Sea coast. WiFi is available in all areas and is free of charge. The rooms come with air conditioning, seating area, flat-screen TV with satellite channels. The bathrooms provide a hairdryer. 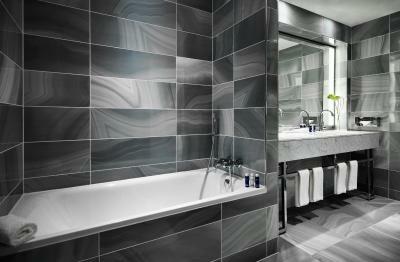 Some rooms offer a mini-bar, Nespresso coffee machine, bathrobes and slippers. 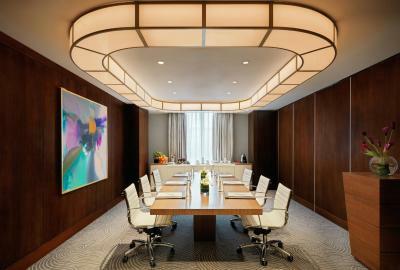 Guests can dine in the on-site restaurant, room service and breakfasts in the room are provided upon request. Other facilities include concierge service, beauty salon, ticket service, tour desk and dry cleaning. The hotel is 2.5 mi from Port Baku Mall. The distance to Baku Train Station is 0.6 mi, and Heydar Aliyev International Airport is 14 mi from Boulevard Hotel Baku Autograph Collection. Taxi service is available at the hotel. 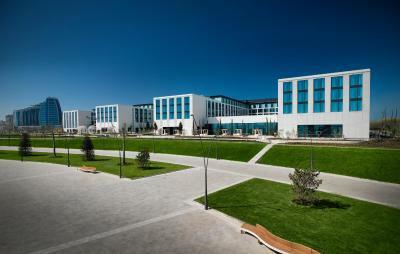 Baku White City is a great choice for travelers interested in restaurants, cleanliness and food. 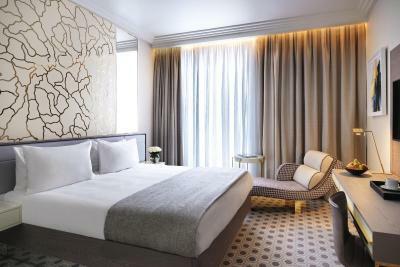 When would you like to stay at Boulevard Hotel Baku Autograph Collection? This room features air conditioning, a sea view, seating area, flat-screen TV with satellite channels. The bathroom provides a hairdryer. It includes a mini-bar, Nespresso coffee machine, bathrobes and slippers. This room features air conditioning, a seating area, flat-screen TV with satellite channels. The bathroom provides a hairdryer. This double room has air conditioning, seating area and satellite TV. This suite features a seating area and air conditioning. 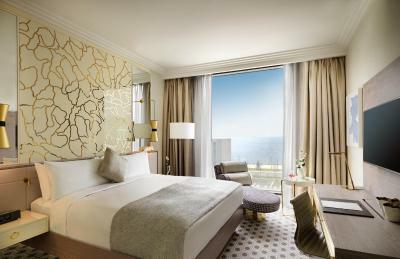 Named after eponymous Sea-front walking promenade and set right at the Baku Bay towards the east of the city center, Boulevard Hotel Baku offers 818 comfortable rooms. Hotel surroundings – This neighborhood is a great choice for travelers interested in restaurants, cleanliness and food – Check location Great location - show map Guests loved walking around the neighborhood! 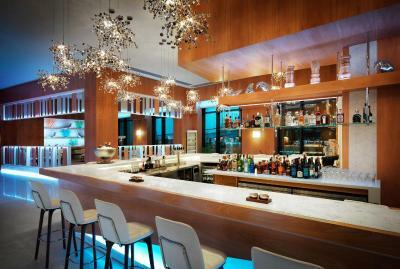 House Rules Boulevard Hotel Baku Autograph Collection takes special requests – add in the next step! Boulevard Hotel Baku Autograph Collection accepts these cards and reserves the right to temporarily hold an amount prior to arrival. Location is good, Quite, friendly staff. The price is somewhat high and the security checking was over , they were having an intentional event. Cleanness, comfort, location and Facilities. The facilities was very good, friendly staff. The Indian restaurant ‘Masti’ has an excellent menu .Everything is excellent ,service,food and staff. 1. Charge u if u bring any guest ! 2. You can’t open the window !